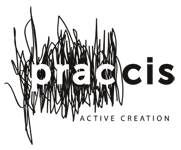 Praccis brings a wealth of experience across the fields of art, design, media and marketing. Through active collaboration we align the right resources with the right creative direction. Cletus brings an interdisciplinary approach to translating challenges into opportunities and developing creative solutions. Before launching the branding consultancy, HotWaterGroup, in Los Angeles, Cletus worked with Ogilvy & Mather Interactive, and managed business development and national marketing programs for American Express in New York. Cletus also teaches at Otis College of Art and Design. Erik Qvale is a public art and design consultant with experience working with multiple government agencies, arts organizations, and private developers to provide project management in the fields of Public Art, Design, Fine Art, and Real Estate Development. His experience includes the coordination of artist/architect design collaborations for permanent and temporary art projects. His management services include the facilitation of the artist selection process, community participation, design development through to fabrication and installation, and the administration of contracts and budgets. Tucker Neel brings extensive art, writing, curatorial and project management experience to Praccis. As Fine Arts Coordinator for the 2007 Live Earth concerts he curated and organized fine artists from around the globe, including Vik Muniz, Scott Grieger, Katie Holten and Peter Blake, to create unique posters to raise money for Al Gore’s Alliance For Climate Protection, a non-profit dedicated to fighting the causes of global warming. At the same time he collaborated with THE_GROOP, an award-winning online branding company in Los Angeles and project managed an international selection of graphic designers and artists to create dynamic venue-specific identities, t-shirts, posters, and stage sets for each of the seven Live Earth concerts. As curatorial assistant to Joanne Stuhr Curatorial Services in Tucson, AZ he managed and archived multi-million dollar private collections of contemporary, modern, and Pre-Columbian art. He currently manages and edits the collected works of Marcia Tucker, founder of The New Museum in New York City, compiling and archiving these writings for future publication. Additionally, he is Vice President and co-editor for GYST-Ink, an arts services company providing software, classes and support to artists to help them develop their professional practice and build business skills. He regularly publishes his writings about art in the L.A. Alternative Newspaper and Artillery Magazine in Los Angeles and Art Lies in Huston. You can read his published writings at tuckerneel.wordpress.com.